Can you introduce yourself to people who don't know who you are? My name is Sam Cohen. I'm a research physicist at Princeton University's plasma physics laboratory. I teach plasma physics at the university and run a program for undergraduates and graduate students. I've been at Princeton for 44 years. My undergraduate and graduate work was done at MIT, a PhD in 73. Most of my work then was an atomic physics not plasma physics. When did you make the transition from atomic to plasma physics? When I got the job, when I came to Princeton, I knew no plasma physics. Now I know a little. Your career spans a very long period of time and you've worked with a number of very famous luminary people throughout the fusion field, including Harold Furth. Can you talk about him? The man was Brilliant. He had lots of ideas that he published on. He also was able to give insightful advice concerning things that he just heard about and that he hadn't paid much attention. In my particular field of research, he actually made some seminal contributions. Furth is the person who I think gets credit for identifying the method that was first used to form the FRC; the Field Reverse Configuration. I work on that now. The basic idea of an FRC: moving current makes a magnetic field around itself. That magnetic field can self-contain the current. Field Reversed Configurations are loops of charged plasma. They make their own magnetic fields, self-containing themselves. On the inside of the loop, the plasma density is higher, leading to fusion. An FRC is a structure made from plasma. In Furths’ introductory course, he gave a homework problem, which has become central to how I study my plasma. So that was a wonderful course. I didn't realize how good it was until 20 or 30 years later. He also was extraordinarily honest and far sighted. Furth understood that tokamaks would be very, big and very expensive; and he tried hard to find smaller approaches to fusion. Furth wanted smaller machines that one could experiment with, develop, implement and test. So he had great foresight to try to see what you could do besides the tokamak (which is currently the front-runner for fusion research, in the world). Left: Lyman Spitzer (1914 – 1997), Center: Harold P Furth (1930 – 2002). Did you career overlap at all with Lyman Spitzer? A small amount. That is: when I came to Princeton, he already left the Plasma Physics Lab and he was teaching back on main campus. He was doing astrophysical research. I think it was either my first year or the beginning of my second year at Princeton that I decided to take a course with Spitzer. I lasted through about five or six lectures. There was so much in the course that was useful. When I heard something, I went off to do research on it by myself. I never did finish the course, but he inspired me to at least write one paper from what he taught. The paper had to do with interstellar dust, clouds, gas clouds and how light propagates through them. It discussed the atomic physics processes take place inside those gas clouds. So I did not know anything about him except from that course. I probably sat through half a dozen lectures. The physicists who were at the lab at the time spoke of him as though he was a demigod. He had all the brilliant ideas. They had nothing but the highest respect for him. You mentioned earlier about Harold Furth’s' predictions about tokamaks. That's a good segue into the discussion about ITER. Could you walk us through your involvement with ITER back at the beginning? I think the year was 1987 and Dale Meade, who is at that time was the head of the TFTR project (I can't remember his exact position) invited me to his office. He asked me if I'd like to join the ITER team and work on the design of ITER. I accepted. I thought that the activity would be interesting, but I really had no idea how really, really interesting it would be. I thought that the activity would be time consuming, but I didn't realize how completely all-encompassing it would turn out to be. So I started working on ITER, in roughly 87, when the US first signed the ITER agreement. I worked with the Russians, and others, on designing a machine. ITER was not the first attempt at this. It was preceded by INTOR, which was headquartered in Vienna. The INTOR project had preceded ITER by probably six years. Dr. Weston Stacey (Left) from Georgia Tech and his book, featuring the INTOR design on the cover. INTOR was never built. Weston Stacie, from Georgia, was the US leader of the INTOR project. I remember the first organizational meetings that I went to, in the US. One was held in Dallas and before I went to the meeting I was spoken to by Paul Rutherford, who was one of the leading theoreticians at Princeton. He said that, he and Harold were both greatly concerned that the ITER project design was growing too large. I think at that time the ITER design was three or four meters in major radius. They said: “you have to do everything you can to keep it from getting larger and try to make it smaller.” But when I left the meeting, which was held in Dallas, the size of the machine, had changed from 3 or 4 meters to 5 meters. It had not gotten smaller, it gotten bigger. By the time my effort on this project were finished - which was in roughly 1994 – it had grown to 6 or 6.2 meters. So, despite Harold's suggestions and urging, I was unable to do it because people understood that tokamaks needed to be big. The team I worked on for ITER was called the CDE, the Conceptual Design Effort. That was followed by a more detailed Engineering Design Effort, and the machine actually grew in major radius from 6.2 to 8 meters, until they realized that the cost was well beyond what could be provided to them. Then they went back to the 6.2 meter machine that the CDE had produced. The 6.2 meter machine might have been called “ITER-Lite”, but I don't recall that exactly. I know the phrase “ITER-Lite” was circulating around that time. Profiles of a standard tokamak next to a spherical tokamak, with the major and minor radius marked. A picture of the ITER construction site from July 2018. There's a number of reasons why the size has to be so big, like Anomalous Transport, for instance? That is the main reason why. To give yourself a safety margin in the confinement, you want the machine to be bigger. Can you explain anomalous transport? Let’s pretend that you have a cubic meter of Styrofoam. 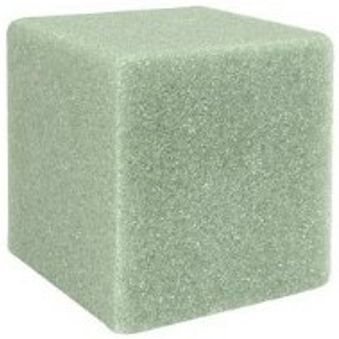 A square block of Styrofoam. It has a certain thermal conductivity. If you put a blow torch on one side. It takes a long time for the heat to reach the other side. It could take a year. But you might end up actually destroying part of the Styrofoam. (By burning the foam). You will have channels that flow through it, and maybe the heat from the blow torch could go through directly. The tokamak had that kind of problem. There were ways that the energy could get from inside of the tokamak, to the outside, much quicker than what's called the classical theory of transport. So the classical theory of transport gives you a good confinement - but anomalous can ruin that. It can make confinement 10 or 100 times worse. In fact, when Tokamaks were first built and stellorators were first built in the sixties, the anomalous transport was a million times faster than classical. 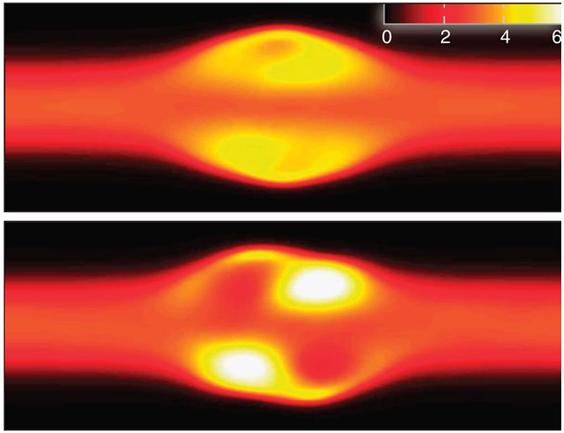 Now tokamaks have achieved neoclassical confinement, for just the fast ions. Neoclassical means classical transport, but inside a torus. For electrons, they still have some anomalous transport. The heat in the electrons will leak out faster than what ideally people think it would. That is an example of where theory and reality do not agree? No, I think the old theory doesn't match it much, but, the old theory was classical transport. But lots of people have done really detailed calculations and they come very, very close to predicting the behavior that is observed. So, over the 50 years that tokamaks have been pursued, the theory has come much closer to explaining reality. So in '94, you decided to move away from the ITER effort. What was the thinking there? I worked on a particular part of ITER called: power and particle control. That is when the plasma started to fuse and release energy. You have to take the energy out and convert it to something useful, like electricity. But, sometimes the energy would leak out in huge bursts. Both the steady-state flow of energy and the bursts of energy were too great for conventional materials and conventional structures to handle. We tried to think of many ways to avoid both of these heat losses, but we really came up pretty empty. In fact, I think, some of the more recent explanations for heat transport are even less optimistic than our studies were in that time. One of the problems with this type of heat transport is - if everything worked fine and dandy for a day or two within the reactor, but you suddenly get one impulse or loss of heat, it can destroy the component. Your machine would be shut down for three months, six months or a year to fix. So you cannot really tolerate even a few of these accidental losses. This is one example of a potential accident on any fusion machine that uses superconducting magnets. Occasionally, the superconductor can “go normal”. This releases a huge amount of energy and can damage the reactor. This happened on CERN, shown above, and is a possible accident on any large fusion device, using superconductors. So that was one issue. It was a major issue. The second major issue was tokamaks burn a fuel mixture of deuterium and tritium and that produces a lot of neutrons. People like those neutrons because you need them to breed more tritium. You do this absorbing them into lithium. But other people, like me, do not like those neutrons because they damage the structural material. They can also activate it. So not only do you have problems, the structures you build don't last forever. In fact, they might only last for a month or two or three before they need replacement. Secondly, you have this massive amount of radioactive material. The neutrons were real big problem for me. Above, are listed possible fuels for a fusion reactor (deuterium, deuterium-tritium and boron-11). Two of these reactions make neutrons, which are bad. Neutrons mess things up (swelling, cracking, radioactivity, etc). In ICF they make the chamber walls out of tungsten-carbide, which is durable to handle the “threat” from an exploding fusion event, spaced far enough away. The neutrons can also be absorbed in a molten lead-lithium blanket (General Fusion does this) and used to breed more fusion fuel. Aneutronic reactions make almost no neutrons – making boron-11 basically the holy grail of all energy sources. If we could get this to work we would have a zero-carbon, almost-zero-radioactivity and plentiful energy source. I think those were the two main problems. First, the heat loads are very high and secondly the neutron damage would be very high. Occasionally, people would have ideas how to solve some of these problems or at least ameliorate them. The trouble with the tokamak is that it is a huge machine. To get any experiment tried, to have any new component built, it can take years and millions – if not tens or hundreds of millions of dollars. So I did not see a good way to test things. We had come to the point where people are going to go ahead and build a machine that uses ideas that were current in, you know, 1988, 1990. If a wonderful solution comes around 10 years or 20 years later, you could not easily put it into the machine to test it. I did not like the prospect of working with such a large machine, where you were not readily able to test new ideas. I wanted something smaller, where you could try new things, and experiment with them. ITER was a big, big, big, big project. I point out, that I tried very hard to build a machine that could be used for testing the materials that were going to be inside ITER. I was collaborating with a group of people from Princeton, from Livermore and from Northrop-Grumman. We put together a large proposal for machine called the ITER Diverter Experiment and Laboratory. We gave a proposal to the Department of Energy, to build this machine. It was a long linear machine that would provide a huge amount of power load on the material surfaces. An example of a test stand for exploring ITER materials. This photo is from 2011, at the Dutch Institute for Plasma Physics. It is a linear test stand - plasma comes in from one direction and blasts a sample material on the other side. The goal is to see how the material will act under the heat and mass blast. Dr. Cohen helped to design a larger test facility for the US. We want to see if we could make materials that would take the heat load that ITER was predicted to make. The machine was heated, using radio frequency waves (think giant microwave oven). The proposal was made to FESAC (the Fusion Energy Science Advisory Committee). A vote was taken by that committee. The vote was 17:0:1. 17 against, nobody in favor and one person abstained. Since then, a couple copies of this machine have appeared around the world. One of them is in Holland. There, not quite as ambitious as mine, but you know, probably within a factor of two. So, I have felt in some way vindicated. But, what I liked about the machine was its' design. It was a linear machine. Much easier to build, to assemble and to do maintenance on. What I learned in the design of that machine helped me move forward in the design of the FRC that I work on now. So, it was not a wasted effort. Unfortunately, the FESAC committee did not support the proposal. Fortunately they did not support it. It forced me to think of something else. Then you settled on what you are doing now? The idea to work on the FRC also involved Harold Furth. I heard about an FRC effort that was being pursued. It was a linear machine. Which I really liked. It was like a mirror machine, but it had one added feature. It had closed magnetic field lines inside it, which would improve the confinement. A basic mirror machine. Plasma bounces back and forth between the bundled ends. An FRC can be formed in the, meaty, middle of the machine. Before I spoke with Zakharov, I immersed myself more and more into the FRC so I could hold an intelligent conversation with Zakharov. When I went to see him and I said: “Leonid, Harold said I should talk to you about FRCs and what wonderful breakthroughs have been made in them recently.” Leonid said: “no, no, no, not FRCs but RFPs”. So Harold, and I, kind of miss heard each other. But nevertheless, Harold gave me some encouragement to work on something different. But, by that time, I had gotten deep enough into the FRC that I really liked them. The RFP, the Reversed Field Pinch is an internally switched tokamak fusion design. The field in the center goes clockwise, while the outside field goes counter-clockwise. Can you explain the Field Reverse Configuration? People talk about the tokamak being a donut. It is a special kind of donut because it has magnetic coils that encircled the ring. If you want to think of an FRC, the first thing you do is to throw away those coils. The second thing is your shrink the hole in the donut until it is not there. Maybe, it is better to think of the FRC is an orange. There is really no hold on the center of an orange. So I think an orange is a very good way of thinking of it. If you had your orange access vertically, the current is perpendicular. The magnetic field is mostly self-generated, by a very large current, within the plasma. This orange is placed in a cylindrical container, with another magnetic field around it. The linear part of this machine is that cylindrical container that contains the orange. An orange with the current and field lines of the FRC, drawn over it. The basic fields used in Sam Cohens’ machine. Two magnetic mirrors are at the ends. They face one another. A rotating field is applied on the outside of the plastic tube. This pulls the electrons in the plasma along – making a current. That current self-generates a magnetic field, forming an FRC in the middle. The orange is the magnetic field lines looping around the plasma? Okay, so the plasma is spinning in a loop? The electrons go one way and the ions go the other way. So there's spinning in opposite directions. There's not one kind of FRC. I want to make sure that that's clear. There are probably four, or five, or six different kinds of FRCs. There is a whole family. So, when you say the FRCs will work, do you mean all FRCs will work? Or just one or two? That is a field reverse configuration? That's different than a Sephromak? A Spheromak is kind of like a second cousin. It's on the way between an FRC and the Tokamak. The difference between a spheromak and a Field Reversed Configuration. Spheromaks have one extra magnetic field on the outside that stabilizes the plasma loop. What is the difference exactly? The most important difference is that a Spheromak has the addition of a Toroidal magnetic field. That is a magnetic field in the same direction as a plasma current. The FRC does not have that. I have used the word Rotamak, but, I think I might have been used it incorrectly. The problem is this: the Field Reversed Configuration name refers to how the plasma was made in the 1960s, 70's and 80's. While, the Rotamak refers to how similar plasmas made in the 80's, 90's and 2000's. So it is how the plasma is made, that is the really is the important thing. When they say Field Reverse Configuration, it really refers back to experiments that were first done in the Naval Research Lab. There, they had a cylindrical magnet and they have current flowing in that magnet and when they reversed the current in that magnet. In fact, Harold Furth gets credit for identifying this whole process. So the way the FRC was originally made was you very quickly reverse current in coils. That caused the field in the plasma to reverse its direction too. In the Rotamak, you always have the current in the coils - and the external coils - going the same direction. Then you apply what is called a rotating magnetic field. And some people say that that causes current to flow because the magnetic fields rotation drags electrons around. That is probably an incorrect way to view it. But you know, it is a nice picture, so why not? That is what we call a Rotamak. The name was, I think, invented by Ieuan Jones – though Blevin and Thonemann wrote the first FRC paper. Ieuan probably wrote 100 or more papers on Rotamaks. A rotamak uses a rotating magnetic field on the outside to drive the current in a loop, heat the plasma and stabilize the FRC. IR Jones, I read a number of his papers. I think that he died five or six years ago, which is too bad. Wonderful person. Key contributors to the rotamak and FRC technology. Ieuan Jones was a professor in Australia who worked on rotamaks from the 70’s through the early 90’s. Dr. Jones passed away a few years ago. Alan Hoffman and John Slough were both professors at the University of Washington and the Redmond Plasma Physics Lab in Seattle. So you've built this machine today and you are doing experiments with it. Can you describe the machine you have got running right now in the lab? It is called PFRC - Princeton Field Reverse Configuration. It is one of a series of machines, we think it would take 4 machines to reach net fusion power output. We built machine 1, starting around 2001. It ran for about seven or eight years and we achieved much, much better results than we had hoped for. Now we are running machine 2. We hope that that will get to its’ goals in a year or so. The main problem has been the lack of manpower. In order to do experiments properly, you need professional diagnosticians, operators and technicians. Our funding is roughly enough for one half a person per year. The DOE reduced our funding this year by a factor of two, intending to stop the program next year. Luckily, NASA jumped in, and has given us twice the amount of money that DOE was giving us. Although most of that money is aimed towards engineering studies for the use of this as a rocket engine. Less money in the physics, and more in the engineering. I think that is really good because if it came up with a physics solution, but it was impractical for the engineering perspective, you would get nowhere. To do the engineering at this level and think is exactly the right way to go. We are doing this work with Princeton Satellite Systems. In fact they are the lead on the project, because they have the engineering arm of the effort. It has been a wonderful collaboration. You asked what my machine looks like now. So, there is the center of the machine and that is a plastic cylinder. It is a pipe, a plastic pipe, about 10 inches in diameter at about 40 inches long. The materials called Lexan. It is the trade name for a polycarbonate. (Cohen uses a clear hard plastic chamber). We've also seen glass chambers, though metal is the norm. A picture of Sam Cohen’s laboratory, the experiment is boxed in white. The experiment is a long tube with a plasma FRC formed inside it. In the machine, we need to have the vacuum vessel be electrically insulating because of our radio frequency and the heating antennas outside of the vessel. We want to keep the radio frequency antennas outside the vessel because it makes it much easier to apply the high voltages, high currents and to avoid breakdown. So we need an insulating vessel. Our first vessel was made out of glass, but we were afraid that it would chip, crack or implode. So we went to Lexan because it is a much tougher material. We did a lot of tests on it: machining tests, stress tests and out-gassing tests. It is a wonderful material. Why had you use used Pyrex glass? I found it on the shelf. Wonderful. I was looking to build a machine and I found this vacuum vessel on the shelf. It had a lot of ports so I could put diagnostics in it. We could have used something else. Other people doing FRCs used quartz vacuum vessels, but they are much, much more expensive. They cost 50,000 or 100,000 dollars. A Pyrex vessel can be a thousand dollars or $2,000 - much cheaper - but it give you worries. If somebody drops a wrench on it or scratches it, a crack can develop and propagate. So ever since we started using the Pyrex, we were always afraid of that problem. We wanted something that you could hit with a sledgehammer and it doesn't even say ouch. A reactor would not be made of Lexan though. Any reactor would be much, much hotter. We would replace the Lexan with something like boron-carbide. Inside the vessel: we have rings of metal and these rings are mostly made of copper. But we have embedded in them high temperature super conductors. We cool the metal rings by flowing liquid nitrogen through them. We can make high temperature superconducting coils inside the vacuum vessel. That helps confine the plasma in the radial direction. On the outside, we have our radio frequency heating antennas. They are unique because they have a special symmetry about them. This symmetry is critically important to virtually every aspect of the FRC's operation. The symmetry helps drive current into the plasma, efficiently. It helps stabilize the plasma. It helps improve the energy confinement inside the plasma. We came up with this idea, roughly in the year 2000. A group up in University of Washington, tried our idea and improve their confinement by a factor of four or five. We tried it in our machine and it improved confined to a factor of 10. We think we can do better as the machines gets hotter. This particular symmetry would be called odd parity. Odd parity is critically important to the machine's behavior and performance. When you say RF heating, I always describe it as microwaving a plasma, is that a fair statement? That is not quite right. Microwaves have small wave lengths. The size of wavelengths may be anywhere, from a few microns to tens of centimeters. But the wavelengths that we deal with are tens of meters or even hundreds of meters. It is a little bit different. It is providing radio frequency energy. But, when you think of microwaves you think of waves propagating over a long distance. For example, when you have cell phones, you have a tower a mile away. It beams a signal to your cell phone. With us, the antenna is very close to the plasma. The waves do not have to propagate through space. You can actually see the electric fields and the currents of the antenna. It is called near field, instead of far field RF. And this is all a technique to heat the plasma? Right - and to do it in a way that drives current. In a way that keeps the plasma well confined. Parity describes the directions that the magnetic fields are pointed, as created by our antenna. Parity is a property having to do with mirror reflection. When you look in the mirror, your nose in the mirror and your real nose could touch one another. That's an even parity mirror. If you have an odd parity mirror, you would see the back of your head. Not only that, but you would be upside down. You put out your right arm, and your mirror image, would put out its’ right arm. In an odd parity mirror, when you put out your right arm, the mirror image puts out its’ left. You can form a plasma. You can get it to bounce around between the mirrors. You can get an FRC to form in the middle. Are you claiming all of those statements? What would you need in terms of money, diagnostics or people to really prove it? I think we need what the Tokamak program had in the 1970s. In the 1970's, in the US alone, there were over a half dozen tokamaks. There was may be two at MIT. At Princeton, they were three: the ST tokamaks (later replaced by the PLT), the ATC tokamak and the PDX tokamak (later replaced by the PBX tokamak). Oak Ridge had Oramak. General Atomics had Doublet D3. I think there was another Tokamak at UCLA. Each one of these machines was staffed with roughly 10 physicist who really, really knew their business. Each could make really detailed measurements. They could measure the temperatures of electrons by two or three methods - never trust one measurement. They would make measurements not at one point but at a 100 points. So you would be really sure that you knew where the energy was located. We need roughly 10 professional physicists. Each one probably needs about a half a technician of support, and maybe a quarter of an engineers’ support. This is a support staff of 15 to 20 full time people. With the funding we have now we have probably 3 full time people. So roughly a factor of 5 increase would work. Current a former FRC machines. The LSX machine was at Los Alamos, which was defunded in the 1980’s. The Flinders’ machine was Ieuan Jones’ main experimental device in the 1980’s. The TCS machine was worked on by Hoffman and Slough at the University of Washington in the late 1990’s. The PFRC was developed by Sam Cohen at Princeton. Given the money that you have now, what's your plan to the next year, two years? Experimentally speaking? Our main effort is to try to heat ions. We have electrons in our first machine and in the PFRC. Our goal was to get to electron temperatures of 100 electron volts. We published a paper where we got to 150. We also got discharges at temperatures of 200 to 350 electron volts. I think we even had one discharge that was 400 electron volts. That is 4 million degrees kelvin. In the present machine, we have gotten to about five or 600 electron volts. That is fifty percent better. We want to get the electrons and ions to 1,000 electron volts (20 million degrees F). The amount of power we have should be more than adequate to do this. We have only been putting in 10 to 20 kilowatts of power in -- but our power supply can get to 200 kilowatts. I am very optimistic about heating the electrons, but we have never heated ions. We would have to raise our magnetic field strength to do this, to get the ions hot because the electrons got hot first. So ion heating is going to be critical. That would be a fabulous goal in the next year, or two. I have two very important questions we need to clarify. Have you recorded fusion? No. We are working purely with hydrogen. We have put other gases in. We have put in deuterium, helium, argon and neon - but we get the highest temperatures with hydrogen. We get the highest plasma densities with Neon or Argon. But, in this machine, we mostly run with hydrogen. In the next machine we will run mostly with hydrogen – but hydrogen is extremely difficult to fuse. It only happens, with any abundance, in stars. And it would take a bunch to run? We can run with deuterium. But with deuterium, we expect to perform less well in this machine. Being a heavier nucleus, its’ orbits are bigger and would be less well confined. We think we would have trouble with deuterium in the PFRC 4. Instead we will use deuterium and helium-3, but burning pure deuterium is very difficult. What about the stability of the FRC? In the late 1970, the greatest plasma physicist of his generation, a guy named Marshall Rosenbluth wrote a paper predicting that the FRC would be unstable. He actually addressed the stability of the spheromak - a second cousin of the FRC. He pointed out that the configuration was unstable to what is called a tilt mode. Plasma simulation of an FRC showing tilt mode (using the NIMROD code) where the plasma structure starts to tilt. This leads to its’ disintegration. This is bad. Tilting must be avoided to make the FRC stable. In tilt mode, the whole configuration flips over. If the plasma axis is not aligned with the external coils. When it flips over, it destroys itself. Marshall said this will occur if the FRC is operating in a mode where it is fluid-like. Where the plasma behaves like a fluid. We 100 percent agree with Rosenbluth. So, we try to make our plasma as non-fluid as possible. To be a fluid, it has to be highly collisional, which means cold and dense. We try to stay away from the cold dense regime by making our plasma hot and tenuous. We have been very successful at this. The second way we so this, is to make the particles have gyro-orbits that are a large fraction of the machine size. To give plasma a large gyro-radius, think of your plasma as a cloth. Instead of it being layers of cloth that can slide over each other, it's really a 3D weave, where particles from the inside, can go to the outside and. This weaving, interconnected path, kind of, holds the whole structure together. We try to operate in this mode. So far, our experimental results have exceeded Rosenbluths' prediction by more than a factor of 100,000. So, we have shown that we can do this pretty well, as far as the stability. When we go to larger and larger machines, we always designed the machines to work in the stable regime. Other people also go to bigger machines. There is a company called TAE Technologies in California, which is doing an FRC, that is much larger than mine. It is heated by a different method, and it uses a different fuel. Do they have instabilities? I do not know. Right now, their doing very well, their pulse lengths are roughly 10 milliseconds. Our pulses are 300 milliseconds. Whether TAE can get the same performance when they get a reactor, we will have to see. Picture of the FRC formed inside Tri Alpha Energies’ machine. What do you think that the US can do differently to accelerate, expand and help fusion, in general? There is this conception that governments are highly bureaucratic and because of that they're not very good at promoting research. That research really belongs in private industry. There was a book written by a professor in England whose last name this Mazzucato the name of the book is "The Entrepreneurial State" and she finds out how extremely well governments have helped to development of major technologies from the internet through solar power, wind power and so forth. 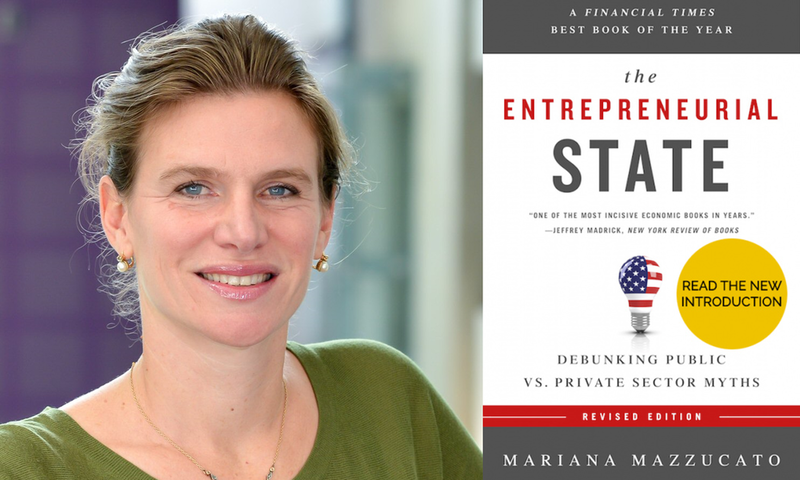 Mariana Mazzucato and her book: The Entrepreneurial State. In the book she argues that government spending can get R&D projects moving much better than private industry. I agree with her that governments can help a lot. Private industry really does not want to get involved until they can make money. If you ask private industry, to contribute to the Tokamak, they would see a bottomless pit. It is 10 or 20, 30, 40, $50, billion dollars invested in something that is not going to make money for a 100 years. I do not think they would want to invest in the tokamak. But there are lots of private individuals who are investing in FRCs. FRCs can be smaller, hence their development can go much quicker. TAE has funding from a number of private venture capital firms. This includes support from a guy named Paul Allen from Microsoft. There is also another fusion startup, General Fusion, in British Columbia, which originally was going to use an FRC. They have funding from a guy named Jeff Bezos, and then there's a 3rd FRC company in Seattle (MSNW) which has funding from Peter Thiel. I think mine was the only surviving FRC in the US. There is a remaining Spheromak at the University of Washington, under Tom Jarboe. But, you cannot really support a fusion effort when you have a half a person working on it. You really need a group of professionals. Probably each machine should have five or 10 physicists. I think that there ought to be support for community of FRC machines provided by the US government. When you have a single culture at one place, you are not competing against anybody else. I like competition. I want people to have different ideas, different cultures. I wanted to hear different sides of the technology. I want to see different experiments. I want to learn from each other. I think there ought to be four or five FRCs, in the US, each one staff by teams that can support 10 professionals. The last question: is there anything else that you want to add that we didn't talk about? Yes. Two things. I want to talk about aneutronic and I want to talk about small. As I said earlier, I left tokamaks because one of the reasons was the neutron problem. I think it is really important to try to make aneutronic fusion, where the fusion reaction, does not produce a lot of neutrons. The materials problems are extremely difficult with the neutrons. As much money and as much time that has been spent already in the tokamak plasma physics research, I would bet that finding the materials and certifying them for use in Tokamak reactors will take as long, and be as costly, if not more. It is very difficult when you're building a commercial machine to certify every weld, every attachment, magnets, every bolt and nut, to be able to withstand the neutrons. You really want to work to support aneutronic fusion. The second statement is about size. If the Tokamak works, it would be suitable for a central station power. Most designs show that these power plants would make five gigawatts of power. But they are very complicated devices, and if you look at which countries need these kinds of power plants, it might be countries like China or India. But the culture that is there for operating a machine like that, does not reside in the commercial sector. It resides in the military. I really do not like the thought of having the military control civilian electrical power. It is because these machines are so very large and complex. It is because they are radioactive. If we can make small FRC, say, one per village - wither the village is in Africa, China, India, or in Idaho - you can see it being simple enough that the town’s folks could run it. It could be safe enough that if you have a problem, you can call in your Maytag repairman to have it fixed. That is what we want. We have problems with our machine every day. Every time we run it, something goes wrong. But, we are standing right next to the machine. We can stop and fix it in 20 minutes or an hour. Also, we would try to make machine that is low in radioactivity, so you could sit within 10 feet of the reactor, when it is running. When do you think will have fusion power? I would like to see a power plant, making net power, in 10 years. Is it possible to do it in 10 years? Not with a Tokamak. When I started on ITER in 88, we thought we would have ITER built by maybe 2010 - and now tritium will not be put in until 2035. There is another device that has been discussed, that could possibly ameliorate one of the problems the tokamak has: the Stellarator. The stellarator was designed and construction started at Princeton about 15 years ago, it has been plagued by major technical and cost problems. This is not because the people were not talented. They were the best engineers and plasma physicists in the world and they had seen other Stellorators come into fruition. But, the Stellorators is a really tough machine to build because of its twists and contortions. Now if you say, oh, but we built one in Germany, it turns out they were building this one in Germany in 1988. It took 20 years to build a machine that is not radioactive. Stellorators are a very tough machines to build. I think we have to go with a simple machine. That has to be our guiding principle. The FRC really is much simpler then the toroidal ones. A picture of the inside of the W7X Stellorator in Germany. Would it be fair to say that FRC shifts complexity from the engineering side to the physics side? Yes - the physicists have to be the miracle workers. If you go to an engineer, and you say: “do what has never been done”. That is not what you want when you are making a product for people to use commercially. You want to give engineers jobs that they can do. If you say to me: “we want to take out the heat”, I should say to you, we can tolerate heat loads of five megawatts per meter square. We cannot tolerate 20 megawatts per meter squared, and if you tell them you got to do 20 megawatts per meter squared, he should resign his job. We want to make sure the engineers have a chance to do their jobs properly. The physicists have to do the miracles. Once you make a miracle one day, it becomes commonplace a week later. But, the physicists have to come up with ideas.